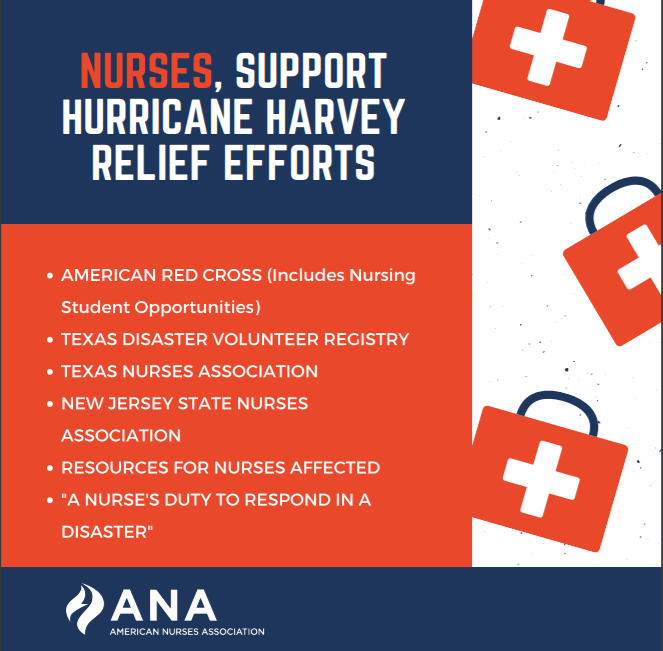 In the wake of Hurricane Harvey, there has been an outpouring of support, especially from our nation’s nurses. 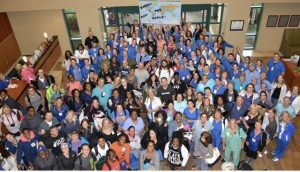 Stepping up during tragedies like this is one of the main reasons nurses are considered our nation’s most trusted profession. Please consider supporting those affected by Harvey by donating your time and professional skills, clothing, financial aid, or other resources to the charitable organizations below. It is an honor to represent and advocate for those on the front line who invariably respond to the call for service in times such as these. Limousine service, upgraded television sets, nurse-to-patient “scripts,” gourmet food service, nurse uniform requirements. Hospitals all over the U.S. are offering more “customer-centric” patient care in order to increase patient satisfaction scores, which are becoming ever more important to raise and maintain Medicare reimbursement amounts. These efforts, however, often have unintended consequences. In the first place, customer-centric interventions rarely (if ever) improve the quality of care patients receive. Rather, they merely improve patients’ perceptions of care. Perhaps the biggest issue with this approach is that nurses have little control over the factors that research shows improve patient satisfaction scores the most. Quality of food service, wait times, physician attentiveness, even staff uniform colors are all factors in patient satisfaction scores—none of which nurses have control over. 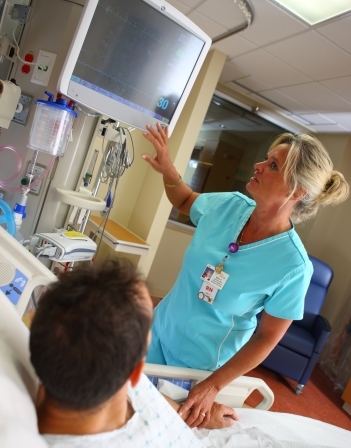 Crucially, nurses also have little control over nurse staffing, which research demonstrates is a significant factor in patient satisfaction scores. Short staffing is inherently unsafe and puts patients at risk. Contrary to gourmet food service, however, improving nurse staffing actually improves the quality of care patients receive, not just their perception of it. The literature shows that improving nurse staffing while controlling for variables (including physicians, LPNs, and nursing assistants) significantly reduces the risk of mortality, lowers the incidence of medication errors and other adverse events, lowers patient readmission rates, reduces nursing-sensitive negative outcomes, and even saves hospitals and insurance companies money—and that’s just the tip of the iceberg. In an effort to mitigate the unintended consequences of patient satisfaction scores and improve nurse staffing, the American Nurses Association has long advocated for Medicare to include nurse staffing measures next to patient satisfaction scores on its Hospital Compare website. By doing so, public reporting of nurse staffing on a 1-5 scale will push hospitals to staff more safely and shift patient care interventions from those that improve perceptions of care to those that actually improve care itself. Think about it: nurse staffing is perhaps the single greatest indicator of patient quality of care. 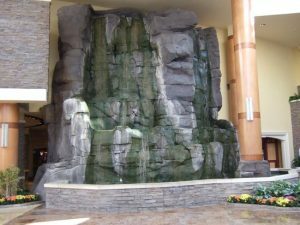 Would you rather go to a facility with a five star rating on nurse staffing, or one with a three star rating on nurse staffing, two lobby waterfalls, great patient scripting, and state of the art flat screen tvs? Give me the better nurse staffing every time. Unfortunately, Medicare recently declined to include nurse staffing measures on Hospital Compare for Fiscal Year 2018. But the fight is not over. While ANA is proud that we were able to help generate 1,363 comments in support of these staffing measures, and is thankful for the 26 advocacy groups who co-signed our comment letter to the Center for Medicare Services, we are already gearing up for an even bigger grassroots movement next year. But we’re going to need your help. Stay tuned for more: #nursesunite. The Trump administration has toyed for months with the idea of withholding cost-sharing reduction (CSR) payments to insurance companies participating in the individual insurance marketplace implemented by the Affordable Care Act (ACA). This has injected a great level of risk into the healthcare system which has in turn created a lot of uncertainty and confusion. These CSR payments are intended to help low-income individuals with income between 100% and 250% of the federal poverty level pay for co-pays, co-insurance, and deductibles. The ACA limits to a percentage of their income the amount of cost-sharing these individuals pay. For instance, an individual with an annual income of $17,000 might only have a $125 deductible compared with a $2,500 deductible for someone with a $25,000 annual income under the same insurance plan. (See a detailed description of CSR payments here). The federal government makes CSR payments to insurance companies to balance out the difference between what the individual pays and what the insurance company charges (fortunately, the Trump administration today stated that it will make CSR payments for August). The Congressional Budget Office (CBO) on August 15th released an analysis on the impact that withholding the CSR payments would have on insurance premiums and insurance coverage. According to the CBO report, insurance premiums for individual insurance coverage would increase by 20 percent in 2018 and by 25 percent by 2020, while 5 percent of people would live in areas that would have no insurers in the non-group market in 2018. Furthermore, withholding CSR payments would increase the federal deficit by $194 billion from 2017 through 2026, largely as a result of higher federal premium tax credit payments. Higher federal deficits would also put pressure on existing federal healthcare and social services programs, including Medicaid, and would further threaten the ability of the federal and state governments to provide health care services to the nation’s vulnerable populations. In addition to the chaos and uncertainty the Trump administration is causing with respect to CSR payments, it is also making moves to undo some of the progress made under the ACA toward achieving quality outcomes and a higher degree of care coordination. 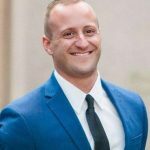 A recent rule proposal published on the website of the Office of Management and Budget would eliminate the mandatory implementation of the bundled payment models for cardiac care coordination and cardiac rehabilitation, as well as implement changes to the comprehensive care joint replacement model. These advanced payment models promote care coordination and place an emphasis on patient outcomes and quality of care; elimination of these models would be a detriment to patients and nurses alike. Stable payment systems and innovative payment models which emphasize care coordination and patient outcomes will better enable nurses to provide quality care and ensure that patients are able to receive the best quality of care in a timely fashion and with better outcomes. As such, the American Nurses Association strongly supports both the federal CSR payments and the implementation of the aforementioned advanced payment models.